Green Team is please to announce the exclusive U.S. distribution of Siliconies. Siliconies teething products are designed to be fun, functional, and stimulating. The food-grade soft silicone provides a non-toxic chewy that is gentle on gums and emerging teeth. The textured surfaces provide excellent sensory stimulation and help to maintain interest while nursing or playing. 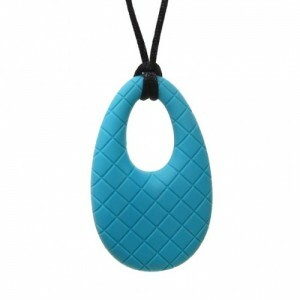 This stylish jewelry is available in several designs and colors, and makes an ideal gift for a new or expecting parent. Order Siliconies along with many other green products wholesale, by becoming a Green Team retailer today! This entry was posted in Blog and tagged new products, Siliconies, wholesale teething necklaces. Bookmark the permalink.